If you have kids, chances are you have LEGOs lying around the house—a lot of them. You probably have truckloads plus boatloads of LEGOs either using up precious closet space or sprawling across your floors waiting for your naked foot to accidentally step on them (ouch!). If you're looking for new ways to spark your child's imagination (and keep him or her busy! 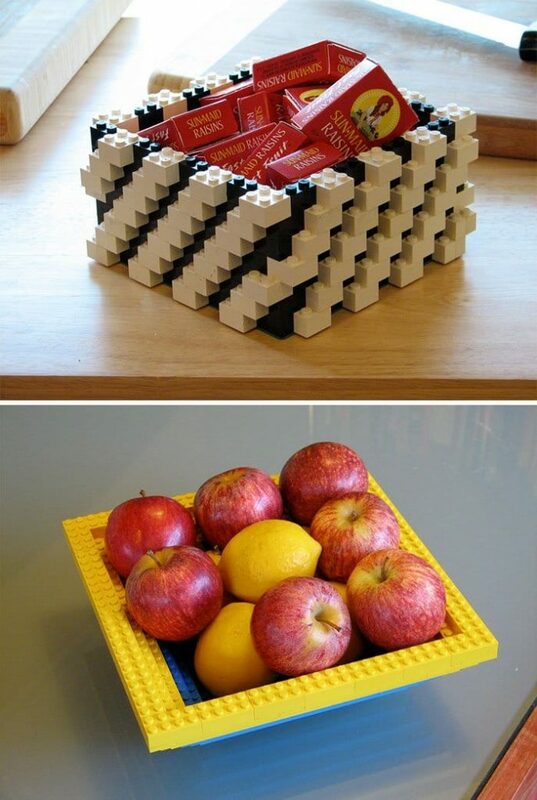 ), here are some new life hacks that will incorporate the colorful little building blocks and add a POP! 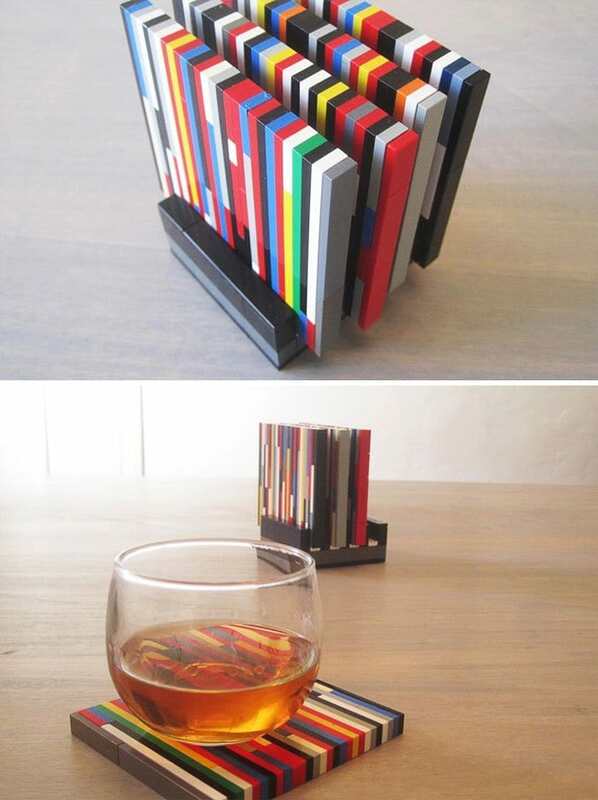 of color and creativity to your home. 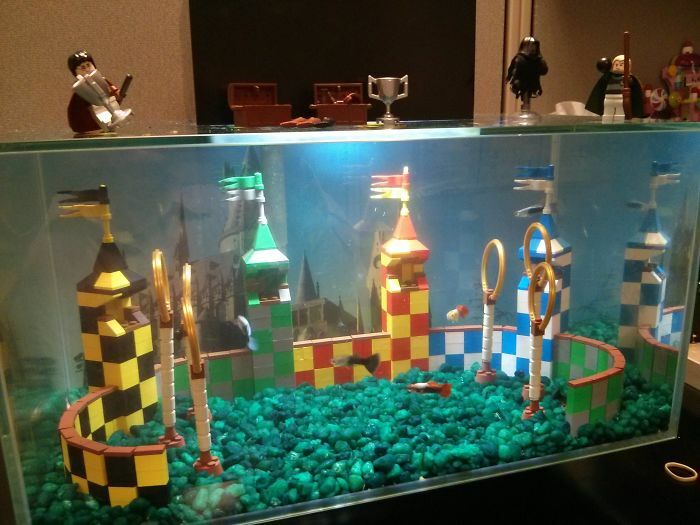 Whether your poison is Super Mario or Harry Potter, LEGOs can help soup up your family's fish tank with a little bit of resourcefulness and a can-do attitude. 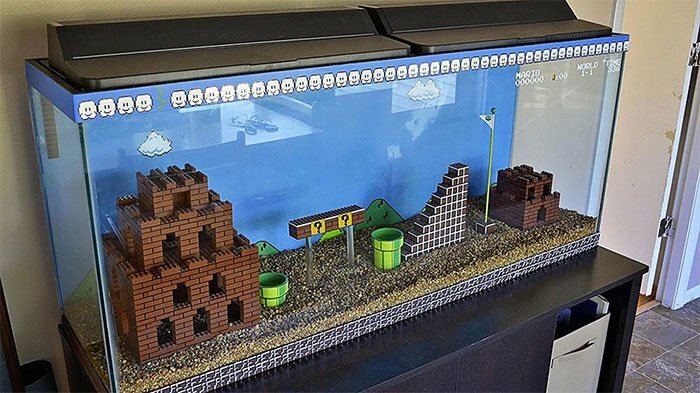 Search the web for creative ideas to match your favorite pop culture scene, or copy the Mario world or Quidditch arena above. Your fish will love you for it and it'll serve as a cool decorative piece for any room. Most families have a designated spot for everyone's house and car keys, whether it be a bowl or a specific spot on the counter. 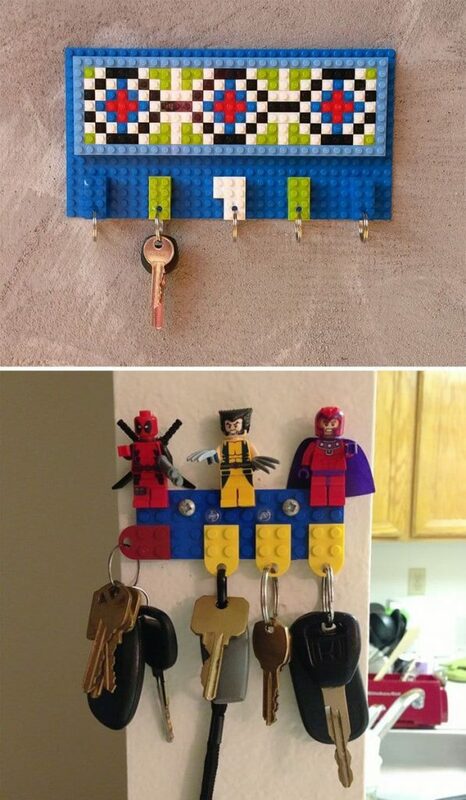 But why not have keep your keys in a fail-proof location like a LEGO key holder! You can create an attractive design or even include some of your favorite LEGO people, superheroes included. Wolverine, Deadpool and Magneto will make sure you never lose your keys again! Add some color to the kitchen with this bright and fun utensil holder. But why stop there? 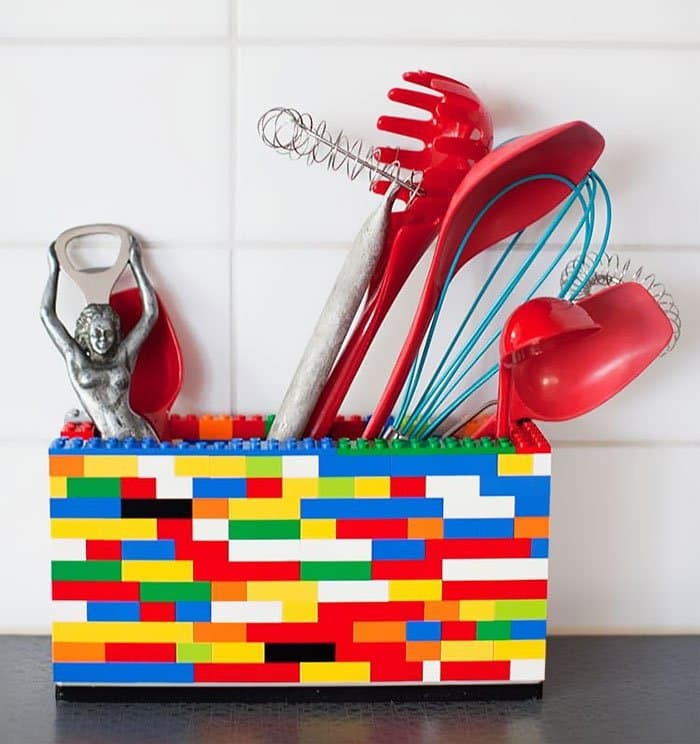 Swap out your fruit basket for a LEGO one, or build yourself a tiny box for holding miscellaneous items like spare change, paper clips, rubber bands and more. The world is full of possibilities. This idea might be the most versatile of them all. 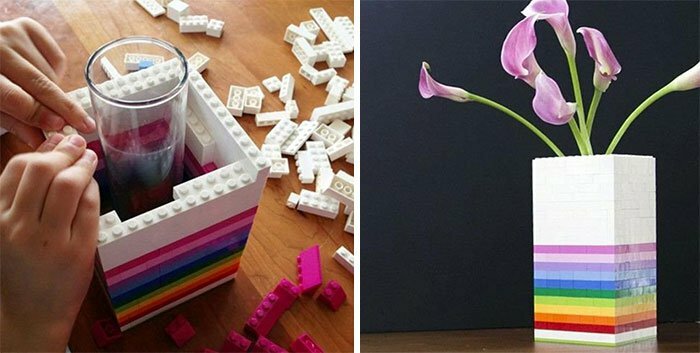 Build a LEGO vase and choose colors to match the flowers inside. It's a great idea for a child's gift to family members, making the flowers inside even that much more special. From frames and games to cufflinks and clocks, click here for even more LEGO-inspired ideas for the home.